President Asif Ali Zardari met Senator Faisal Raza Abidi at Bilawal house upon his arrival here from Quetta. Earlier, Zardari landed at Lahore airport where Punjab Governor Makhdoom Ahmed Mehmood, Punjab IG and PPP leaders received him. The president held one to one meeting with Punjab governor. Makhdoom Ahmed Mehmood congratulated Zardari over Iran Pakistan (IP) gas pipeline agreement. On the occasion, President Zardari said that no pressure would be accepted over IP gas pipeline project. Later, the president reached Bilawal house where he met Senator Faisal Raza Abidi. The senator had also met Bilawal Bhutto Zardari in which he expressed full confidence in party leadership. 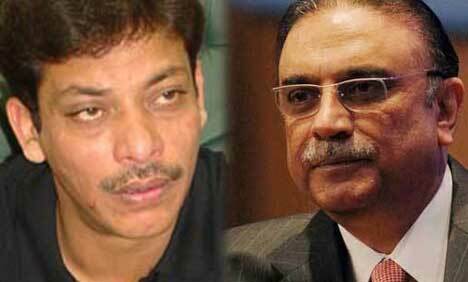 Abidi may be given an important responsibility.